She recently took part in YouthLinks, an online mentoring program organized by SOS Children’s Villages and Volunteer Vision, which uses a digital platform to connect young people and volunteers from the private sector. 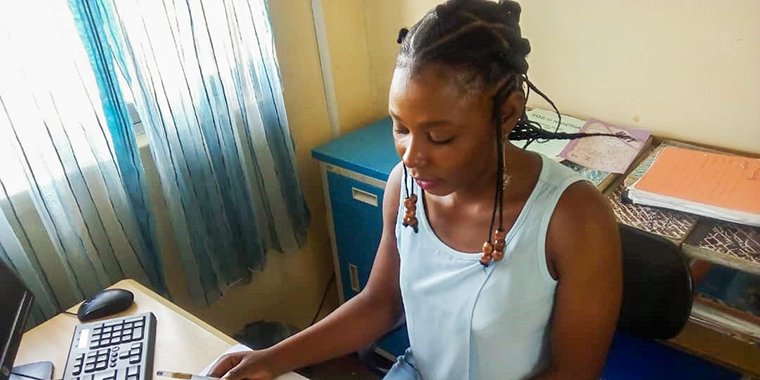 The program offers virtual mentoring to young people leaving the care of SOS Children’s Villages, so they can build their employability skills. In the five-week program, participants together with their mentors identify their strengths and weaknesses as well as set goals for the future. Jessica was paired with Jennifer Chinyere Obulo, a Human Resources (HR) professional for Allianz Africa.